The Monticello 4 ft. extension kit is specifically designed for the Monticello line of greenhouses. The idea is simple, as your gardening greenhouse needs grow so can you greenhouse. The 4 ft. extension kit allows for the expansion of your greenhouse. The design and installation is simple and takes under 2 hours to assemble. Each 4 ft. extension kit comes includes a 2 ft. x 2 ft. roof vent with automatic opener and gutters. When ordering your extension kit make sure that the colour matches your existing greenhouse. 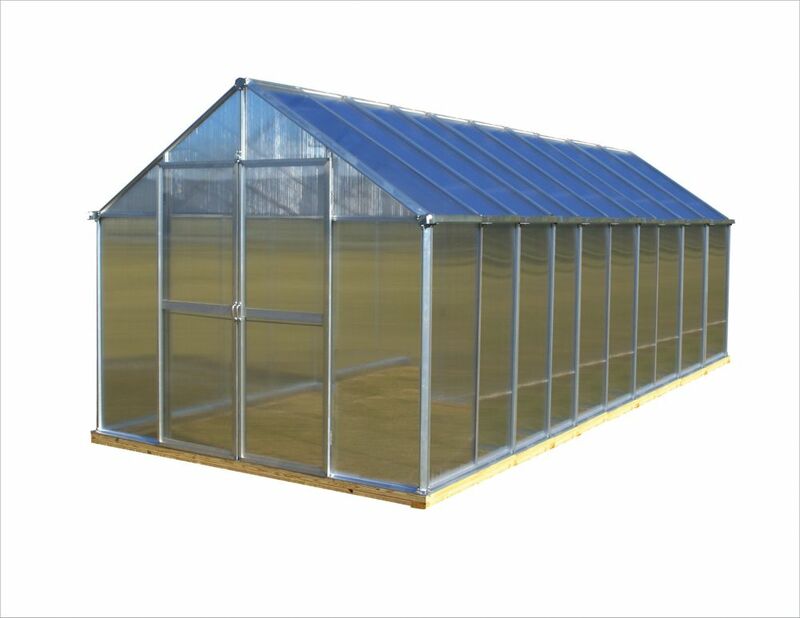 This one is designed specifically for Natural Aluminum frames and will work with the following greenhouses: MONT-8-AL, MONT-12-AL, MONT-16-AL, MONT-20-AL, MONT-24-AL. 8 ft. X 20 ft. Aluminum Greenhouse - Premium Package Not all greenhouses are built the same and the Monticello line of greenhouses by Riverstone Industries proves this to be true. Constructed from the highest quality extruded aluminum (US grade) and coated as not to discolour over the years (containing 0.0% lead), our greenhouse uses on average more than 40 lbs. more aluminum than the average imported greenhouse. Why is this important? The weaker the framework the less snow the greenhouse can hold in the winter time before collapsing and the easier it is to get damaged by the wind. While most hobby greenhouses use less expensive thinner walls and roofing materials, the Monticello uses professional grade 8mm twin wall polycarbonate. This acts as a double pain window keeping cooler air in during warm months and insulating the greenhouse from cold air in the wintertime; making the Monticello more efficient to grow in for a longer period of time and adds to the efficiency of growing.